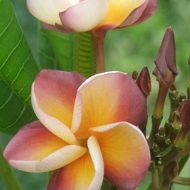 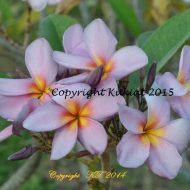 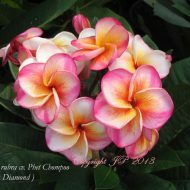 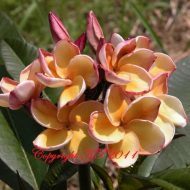 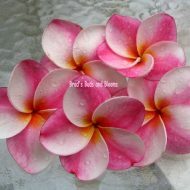 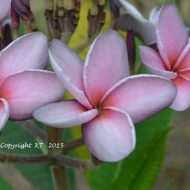 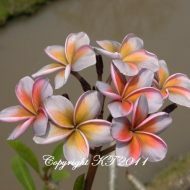 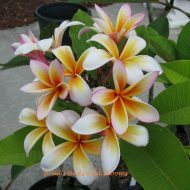 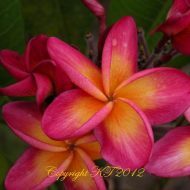 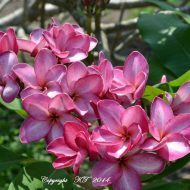 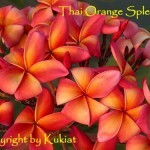 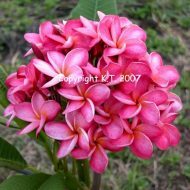 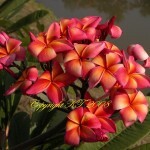 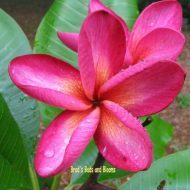 This is an extremely bright, almost neon orange plumeria with streaks of red and yellow plumeria. 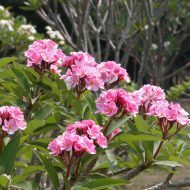 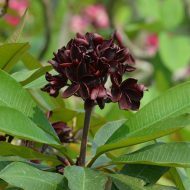 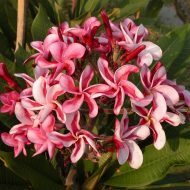 Flowers average 3.5″ wide and have an intense, sweet, and fresh fragrance. 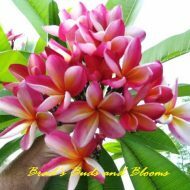 Rooted plants (not grafted) averaging 10-12″ tall, from the soil line. 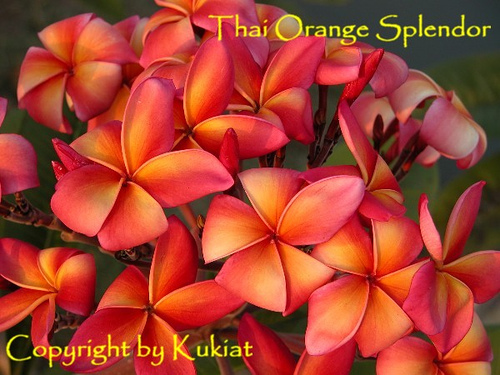 Our tree in the nursery blooms exactly like Kukiat’s picture and we can verify this is one of the best of the oranges for sure! 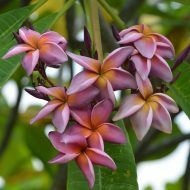 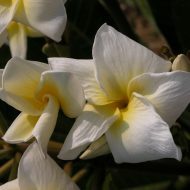 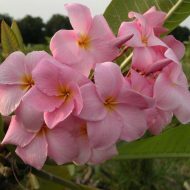 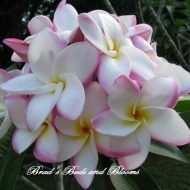 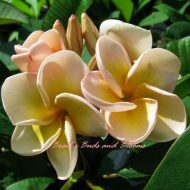 In our Top 15 plumerias for FRAGRANCE!!! 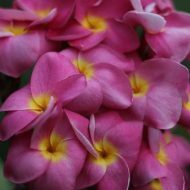 Heart of the Night- Unique and Exclusive! 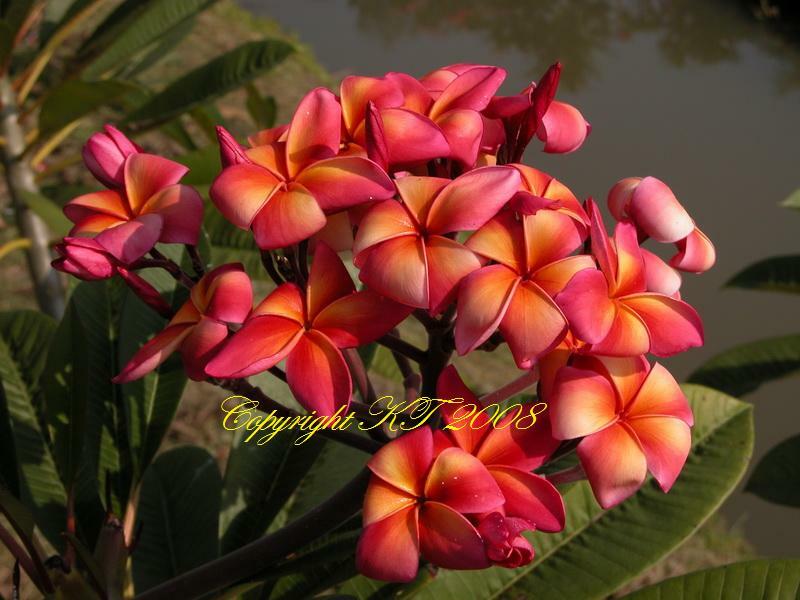 P-803- sensational color and fragrance!